Gary S. Moak, M.D. is a past president of the American Association for Geriatric Psychiatry and 2011 recipient of its clinician-of-the-year award. He is a practicing geriatric psychiatrist with over 30 years experience treating older adults with a wide range of psychiatric and behavioral problems related to diseases of aging. Dr. Moak is assistant professor of psychiatry at the Geisel Medical School at Dartmouth, where he serves as Chief of Geriatric Psychiatry at the New Hampshire Hospital. In addition to his clinical work with older adults and their families, Dr. Moak is a clinical educator. He teaches medical students and doctors in training, in psychiatry and primary care medicine, about mental health and aging and the treatment of late-life mental health problems. Dr. Moak regularly speaks to audiences of older adults and members of their families about mental health and aging. PART TWO: DEPRESSION IS BAD FOR YOU – HOW DEPRESSION CAN WRECK YOUR HEALTH AND SHORTEN YOUR LIFE. Chapter 17: “You Can Lead a Horse to Water…Getting a Reluctant Elder to Accept Treatment. Chapter 18: You’re Never Too Old: Treatments For Depression Work! Chapter 21: There is No Magic Pill: Why does Good Treatment Take So Long? Just as smoking is hazardous to health, so is depression, especially in old age. As a past president of the American Association for Geriatric Psychiatry and an assistant professor of psychiatry at Dartmouth, Moak certainly holds the right credentials to tackle the topic. He divides his footnoted guide into three sections. The first focuses on understanding depression in the elderly, the second covers its effect on health problems such as diabetes and cardiovascular disease, and the third describes what to do. (An example: people with manic depression should take mood stabilizers, not antidepressants.) Moak uses unnamed patients to illustrate conditions such as depression after stroke and reactions such as the all-too-common refusal to get help. Indeed, most older adults with depression don’t get treatment, which is a serious problem because the elderly, especially men over 85, have the highest rate of suicide of any group. He covers myths such as the erroneous belief that mental illness in old age must be senility . . . [T]his is a useful overview which presents a good case for getting treatment. This book needs to be one of those must reads. It's not just for a certain stage of life, this is information that we all need to have whether or not we are in this age bracket . . . [T]his book [is] priceless. Beat Depression to Stay Healthier and Live Longer should be considered a key resource for older patients with depression as well as their families and caregivers. 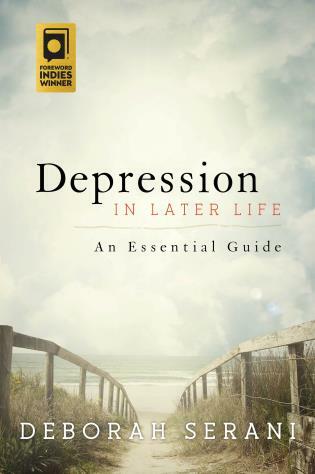 This comprehensive yet very accessible book reflects Dr. Moak’s considerable experience as a clinician and educator and provides the reader with the current state of knowledge about late-life depression. Clinical presentation, diagnosis, causes, co-occurrence with other medical conditions and treatments are clearly and fully covered, supported by dozens of useful case examples. 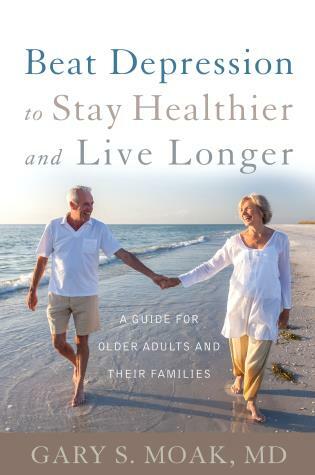 Written by one of the nation's foremost clinicians and champions of geriatric mental health, Beat Depression to Stay Healthier and Live Longer delivers on its promise to inform and inspire. It is comprehensive in scope and true to the best science, while also being fun and easy to read. An indispensable guide to families, seniors, students, and practitioners in ALL geriatric clinical disciplines (not only mental health). In Beat Depression to Stay Healthier and Live Longer Gary Moak dispels the myths and explains the realities about depression and aging, providing patients and their loved ones clear and practical guidance to help them beat depression and live better longer. The book is a call to action. It encourages readers to seek treatment for depression, offering hope that older adults can get their lives back before it is too late. It provides practical guidance and advice for patients and family members about working with healthcare professionals to ensure that sufferers receive effective treatment for their depression and appropriate medical care for their physical needs. By shedding light on the impact of depression on physical health, Dr. Moak spotlights the importance of recognizing the signs and symptoms of depression and brings much needed attention to a subject that is so often overlooked.